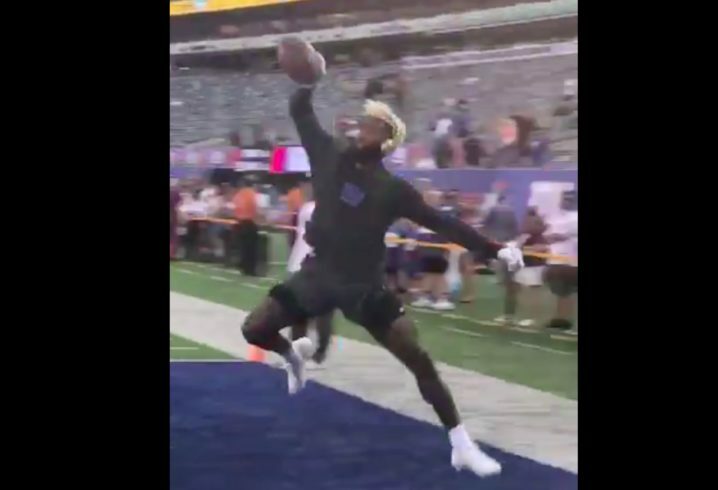 Former LSU WR Odell Beckham Jr. consistently makes the incredible look routine, and he was at it again on Thursday night. Ahead of the New York Giants’ preseason opener against the Cleveland Browns, OBJ took the field for some work with starting QB Eli Manning. This may not even be a top-5 catch for Beckham, but it’s still incredible to watch, and it’s something he does on an almost-weekly basis. If Beckham can stay healthy this fall, the Giants could experience a huge turnaround on the field.